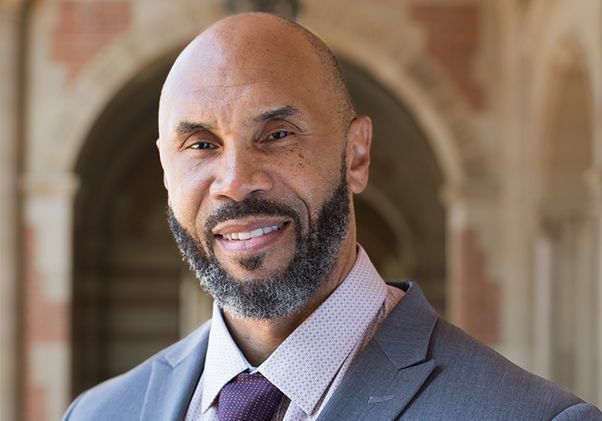 A new report by Darnell Hunt, dean of social sciences of the UCLA College, takes a critical look at the harmful and far-reaching effects of television writers rooms that do not employ black writers, or employ small numbers of black writers to meet diversity hiring requirements. Nearly two-thirds of all TV shows examined lack a single black writer, the report found. And hiring just one or a small number of black writers perpetuates harmful stereotypes about black people, the report suggests. Hunt found that those “token” hires actually limit the likelihood that a critical mass of writers of color can build seniority over time and gain influence in the industry, which limits their ability to influence how stories are told and how minorities are represented on screen. The study, commissioned by the advocacy group Color of Change, examined all 234 original, scripted comedy and drama series airing or streaming on 18 networks during the 2016–17 television seasons. 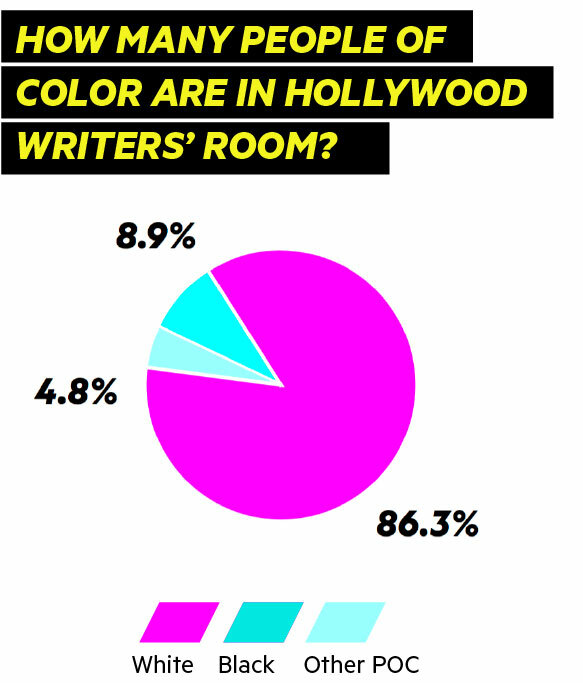 Strikingly, 65 percent of all writers rooms had zero black writers, and across all shows, less than 5 percent of writers were black. Hiring decisions are typically made by a showrunner, the top creative executive on a TV show. The report found that more than 90 percent of showrunners were white, and 11 of the 18 networks had either no women or no people of color working as showrunners. The report also found that major networks’ diversity programs are failing to meaningfully improve opportunities for black writers and other writers of color. 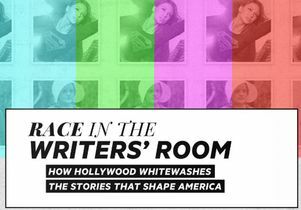 According to the report, these programs — in which networks subsidize the salary of a writer of color on each show — does not always encourage real inclusion of black writers. 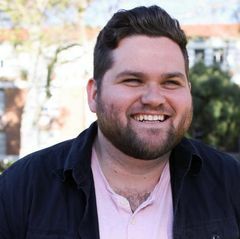 Several people interviewed for the report said showrunners often cycle through writers of color for a year or two, replacing them once the diversity program stops paying their salaries, so that the show can save money by hiring a new junior writer whose salary would be paid by the diversity program. Hunt also created the Hollywood Diversity Report, which tracks the inclusion of minorities and women throughout the film and TV industries. The fifth annual report, which will be published in early 2018, will examine top-grossing theatrical films from 2016 as well as TV, cable and digital platform shows from the 2015–16 season. Race in the Writers' Room report cover. 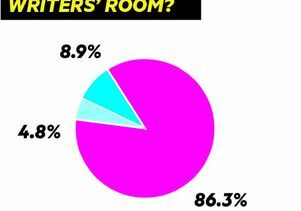 Race in the Writers' Room report graphic.